Ripened the old-fashioned way, on a pine board, it matures slowly. This allows it to develop its utterly unique personality over the course of nearly two months. 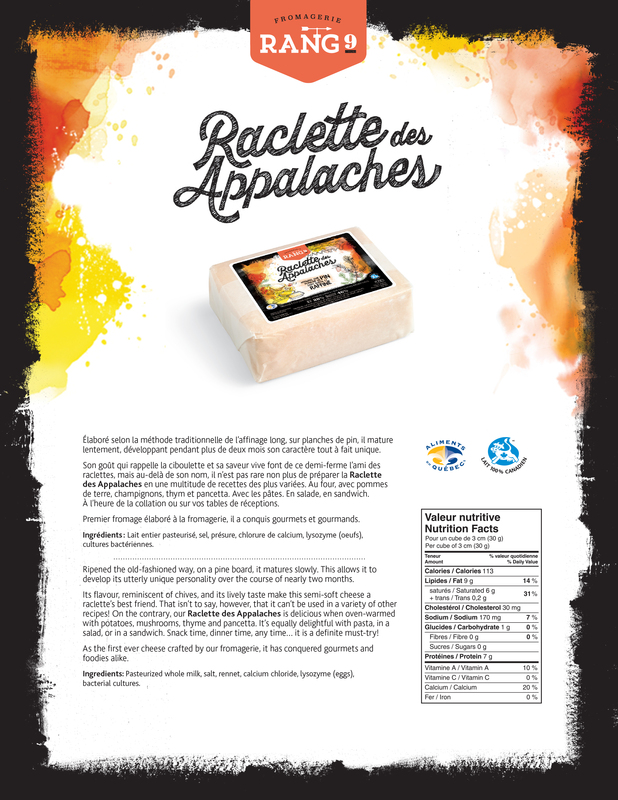 Its flavour, reminiscent of chives, and its lively taste make this semi-soft cheese a Raclette’s best friend. That isn’t to say, however, that it can’t be used in a variety of other recipes! On the contrary, our Raclette des Appalaches is delicious when oven-warmed with potatoes, mushrooms, thyme and pancetta. It’s equally delightful with pasta, in a salad, or in a sandwich. Snack time, dinner time, any time… it is a definite must-try! 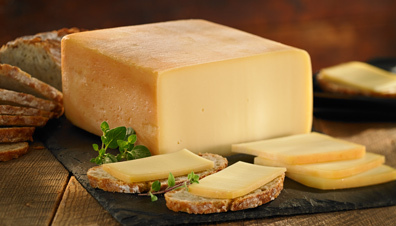 As the first ever cheese crafted by our fromagerie, it has conquered gourmets and foodies alike.